NAS JRB New Orleans - Naval Air Station Joint Reserve Base New Orleans is located in Belle Chasse, LA, roughly 20 minutes from New Orleans. The base is home to various Navy Reserve, Marine Reserve, Air National Guard, and Civil Air Patrol units, as well as the Coast Guard Air Station New Orleans. 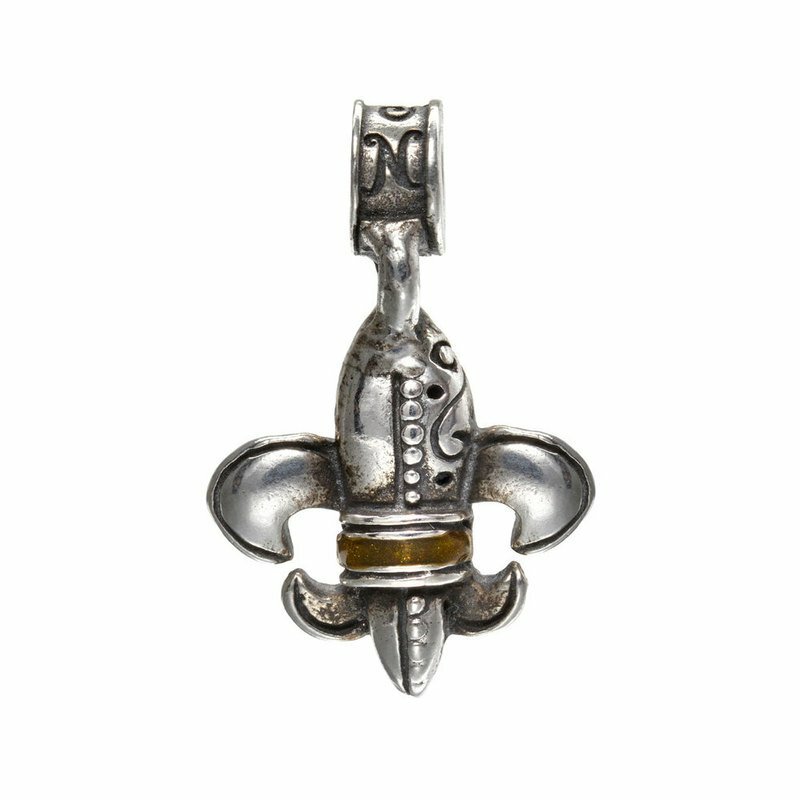 This charm is a .925 sterling silver Fleur-de-lis, an official symbol of the State of Louisiana. It is accented with gold enamel and inscribed with “NAS JRB New Orleans” on the back.